Published: Oct. 19, 2017 at 11:21 a.m. Updated: Oct. 19, 2017 at 06:07 p.m.
As we enter the second half of the CFB season, 3 senior defensive linemen have planted their flags as likely first-round picks: pass rushers Bradley Chubb (N.C. State) and Harold Landry (Boston College) as well as interior presence Maurice Hurst (Michigan). The second half of the season presents an opportunity for more seniors to position themselves as likely first-rounders heading into the postseason (all-star games, NFL Scouting Combine, pro days). Over the past two drafts, just 21 seniors have been picked in the first round as an influx of talented underclassmen have made the jump to the next level. In this post, I've identified 15 seniors that are fighting for a Round 1 spot. I have the seniors ranked in order of their likelihood of becoming a first-round pick as of today, though the difference from first to last in this list is fairly small. Plus, team needs often determine who's in and who's out of the late first round, rather than pure talent. Most run stuffers are falling in the draft due to the tempo of today's NFL offenses. That might keep Lotulelei from being picked as early as his brother, Star (14th overall pick in 2013), but I wouldn't rule Lowell out of the mix for Round 1. He's active enough that a team with a strong need for a wall in the middle of its defense might pick him up late on Day 1. At the beginning of last season, teams were picking on Averett. It was his first year as a starter. Now, not so much. He's a tough defender who will find the ball in the air or dislodge the pass as the receiver works to secure it. Averett isn't the biggest or strongest corner, but he could earn first-round grades if he's able to prove he has elite speed and agility. Scouts aren't sure about Stewart's recovery speed, but if he tests better than expected at the combine, I won't be surprised if he goes in Round 1. He plays through the whistle and doesn't back down from any receiver, two things NFL coaches require of their corners if they wish to stay on the field. 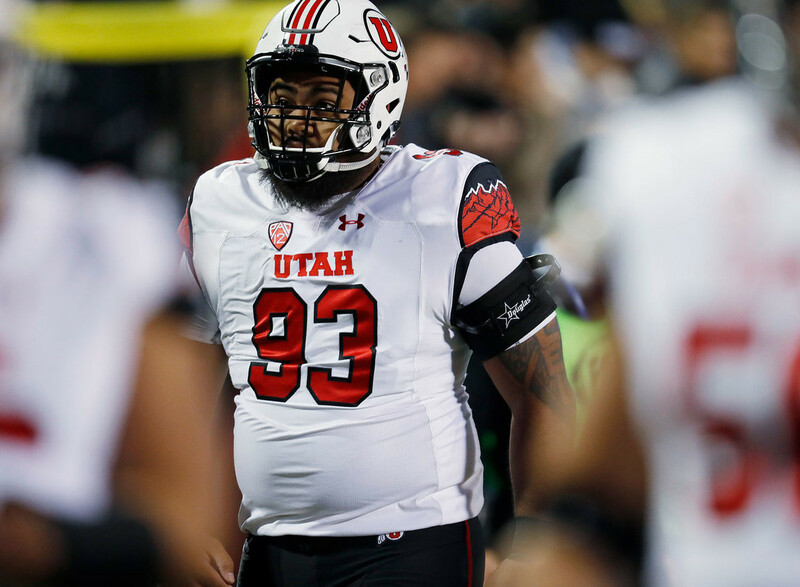 Nnadi lacks the height and length many NFL defensive coordinators prefer in an interior defender, but he's a difficult heads-up block for any offensive lineman. His thick lower body and constant hustle make him a future starting nose tackle, but if teams are thinking he's a two-down player, then he could end up a second-round pick like former FSU stars Eddie Goldman and Timmy Jernigan. A solid all-around defender in the Nittany Lions' secondary, Allen has the speed to cover and the tenacity to play in the box. He and Virginia's Quin Blanding might be competing for a spot in the top 32. Blanding's a tackling machine, but don't be too quick to say he can't be effective in the back end. Teams looking for a safety/linebacker hybrid won't be cavalier when grading Blanding. Teams might project Smith as a pro tackle despite his success at guard with the Tigers, which would boost his stock. But even as a guard, Smith deserves first-round looks because of his tenacity and movement skills. His measured height and arm length might help teams peg his position, but scouts already know that he'll be a starter wherever he lines up. An explosive athlete who plays with a nasty streak, Evans could line up inside or outside on Sundays. He could be very impressive at a venue like the Senior Bowl, with his fluidity and ability to pressure the quarterback when given the chance. Former Georgia Bulldog Leonard Floyd wasn't getting much run as a potential top-10 pick until he showed off his speed and movement skills at the combine in 2016 (he went to become the ninth overall pick that year). Carter could experience a similar rise. He might suffer from the way he's used in the Georgia defense -- a stack defender in coverage and the run game -- when it comes to statistics, but he'll get a chance to impress the league at the combine. I suspect his stock will be on the rise coming out of that event. Combine and pro-day workouts will be critical when it comes to determining Jewell's final grade. If he rocks Indianapolis like Luke Kuechly did several years ago (to the surprise of many), teams will be lining up to pick Jewell in the first round, as his tape is as strong as any college defender's. Jones' length and athleticism have always been evident. He's been more consistent in pass protection this season, however, and he attacks defenders in the run game. Jones has pushed himself into first-round consideration. The battle between Dante Pettis and Washington for a first-round spot might come down to combine workouts. Washington's production has been outstanding, and if he shows excellent short-area quickness and straight-line speed, he could be ranked ahead of Pettis on draft boards. Pettis could be one of the top two or three players selected at his position. He's quick, possesses strong hands, and is the toughest receiver in college football. All of that, along with his return ability, might allow him to follow former teammate John Ross as a first-round pick. McGlinchey has long been a solid tackle for the Irish. He reminds me of former Big Ten mid-first-round picks at the position like Jeff Backus (Michigan) and Taylor Decker (Ohio State). I suspect he'll be selected somewhere in the final 10 picks of Round 1. Scouts love this junior college transfer's athleticism. While the Bulldogs recently suffered consecutive lopsided road losses at Georgia and Auburn, Rankin is still a big favorite among teams looking for help on the line. It won't be surprising if he lands in the middle of the first round.